Dr. Howard holds a B.A. in English and Religion from Columbia University, and an Ed.M. in TESOL and Ed.D. in Educational Leadership from Boston University. He has also done coursework at the Harvard University Graduate School of Education and the National Institute for School Leadership. With experience in both private and public schools, Tim served as a Principal for 18 years, leading the creation of a top performing inner city school in the Boston area, recognized nationally in 2005 as a model school. 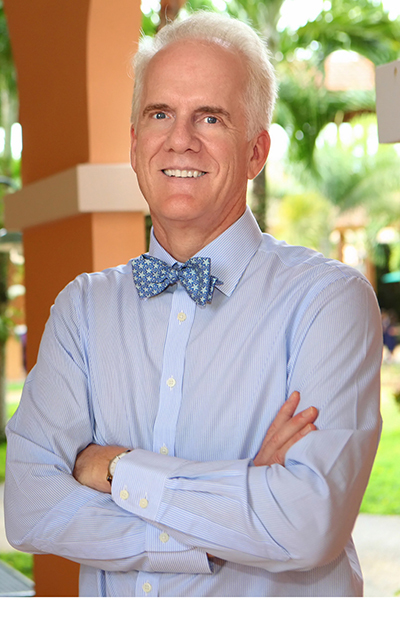 A lifelong learner and educator, Dr. Howard has been an Adjunct Faculty member at Boston University, where his focus was on "teacher supervision and performance appraisal." He has served as a mentor for principal interns from Harvard University and Boston University. His broad cultural background--having lived and worked in Brazil, Africa, and Spain--make him ideally suited for TASIS Dorado. As a result of our strategic planning process, we are excited to expand our program of global citizenship, community service and leadership development! Maritere will be leading this initiative, where “wellness” is integral to personal growth and caring for others and the planet. We hope to make TASIS Dorado a school that increasingly has a positive impact on Puerto Rico, while strengthening our ties with our sister schools in Switzerland and England. 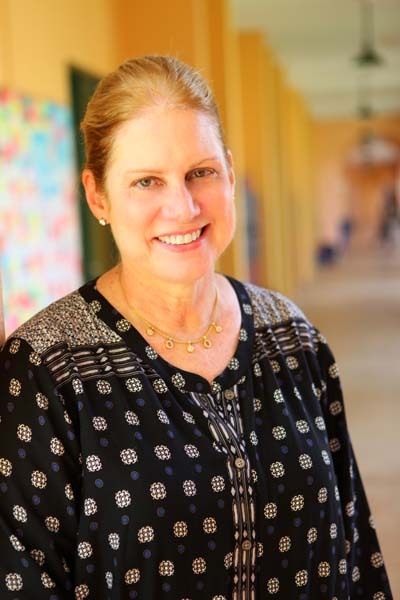 One of the founders of TASIS Dorado, Maritere has over 28 years of experience in education, including six years at Colegio Rosa-Bell and 13 years as Principal of TASIS Dorado. She will work closely with our Admissions Department to recruit and welcome new students to our school. 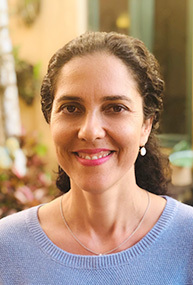 A graduate of Newton College of the Sacred Heart with a BA in American Studies, Maritere also has an MAEd in Educational Administration and Supervision from Phoenix University. She has a grandchild in the TASIS Dorado kindergarten. Sara Hernández arrived at TASIS Dorado four years ago, bringing with her 13 years of experience in education. Starting as an English teacher, she quickly became an asset to our school, stepping into the position of Registrar/Student Information Manager. 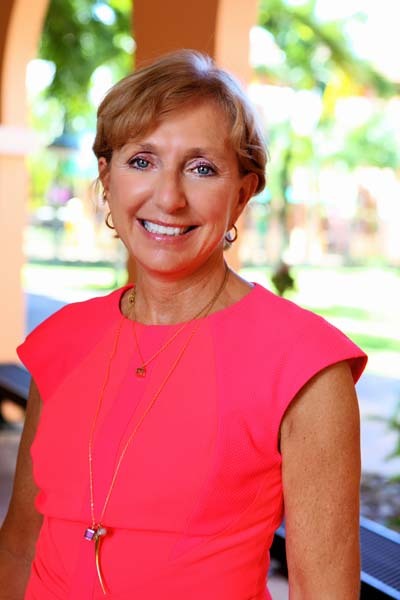 Her experience and talents soon made her the ideal choice to fill the Middle School Principal position and, more recently, as Upper School Principal. 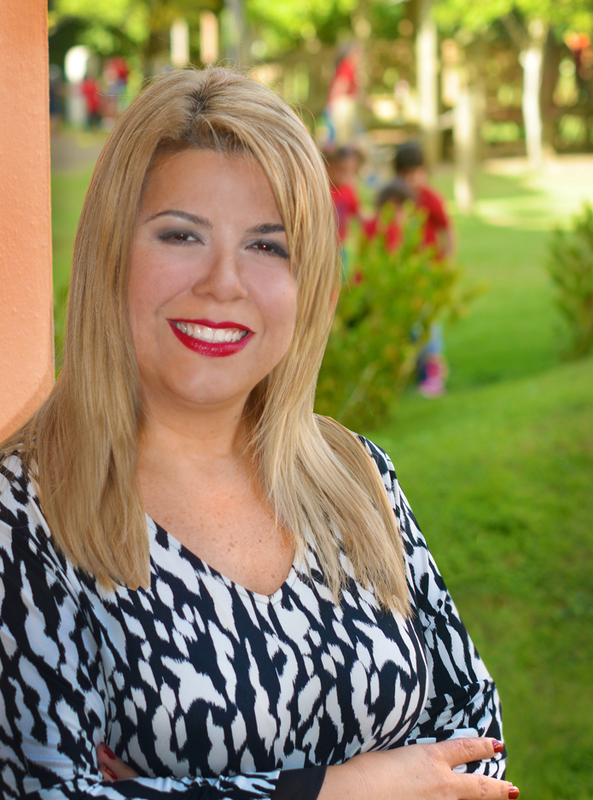 She holds a bachelor’s degree from the University of Puerto Rico in Secondary Education & Teaching English as a Second Language, followed by master level studies in Education Supervision and Leadership. She has served as an English Department Chair, Senior Class and National Junior Honor Society sponsor, Teacher Evaluation Committee Member and Student Discipline Committee member. Dr. James McCartney is returning to Puerto Rico to take the lead as our Director of Instructional Technology and Innovation. 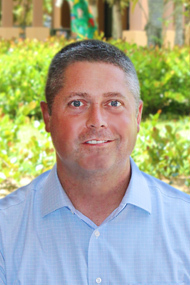 A native of New Jersey with over 18 years in the field of education, Jim previously taught at Robinson School as well as in a NJ public school district prior to moving into school administration with experiences as an assistant principal, principal, and superintendent. Jim has a B.A. in Elementary Education/History and an Ed.M. in Educational Leadership from The College of NJ. In addition, he has an Ed.D. from Nova Southeastern University in Educational Leadership with a dissertation focus on effective technology integration. He has also taught graduate courses for Georgian Court University, has served on the New Jersey Technology Committee, is a Google Certified Educator (Level 1 & 2), and has presented at numerous professional development conferences. Jim and his wife, Tara, have three children, Abby, Kevin, and Ryan, who all attend TASIS Dorado. Mariela Reyes has been a teacher (PK & K) at TASIS Dorado since the school was founded in 2002. She is often described as a "pioneer" and an "institution" in this community. Mariela is deeply respected and well-loved by both colleagues and parents for her knowledge and skills as an educator, her understanding of child development, and her attention to the unique qualities of each and every student. For many years, Mariela has been a leader in curriculum and instruction as the Pre-School coordinator at TASIS Dorado and has mentored a remarkable number of student teachers through our partnership with the UPR's teacher-training program. She was also a key figure in our school's success in being recognized by the Middle States Association with an Early Childhood Education Program of Distinction Award. Mariela has a B.A. in Preschool and Elementary Education and an M. Ed in Preschool Education from The Univerity of Puerto Rico. In addition, she has also taught undergraduate courses for the University of Puerto Rico Bayamon Campus and has presented at numerous professional development conferences. Mariela has two children at TASIS Dorado. 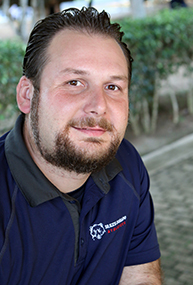 Garrison has more than a decade of experience in education, starting as a 5th Grade student teacher at TASIS Dorado, followed by two years as a 5th Grade and PE teacher and ten years as Dean of Students and Coordinator of Student Activities. Garrison earned a BA in Sociology with a minor in Education from Hartwick College in Oneonta, New York. Garrison and his wife Kim, who teaches at TASIS Dorado, have two children enrolled in elementary school at TASIS Dorado. Susan has more than 20 years of experience in education including nine years as a classroom teacher, two years as Dean of Students PK-6th grade at Caribbean Consolidated Schools-Parkville campus, three years as the character education coordinator and ten years as Assistant Principal at TASIS Dorado, which included leading the school's Middle States Accreditation process. Susan holds a BA in Business Administration and French from Hope College in Holland, Michigan, and she earned a MAEd in Elementary Education from Aquinas College in Grand Rapids, Michigan. Susan’s son graduated from TASIS Dorado in 2014 and her daughter will be a senior this year. Michelle has worked with some of the leading independent schools on the island to plan and promote major fundraising events, work on strategic plans and develop communication and marketing initiatives. She also has over 25 years of production experience in the film, video game, web, social media and advertising industry. A communications graduate of Universidad del Sagrado Corazón and a BFA from Ringling College of Art and Design in Computer Animation, Michelle did graduate studies in the United States and Italy. She worked in California for Warner Bros. films and other major video game developers. Back in Puerto Rico, she was an advertising Executive Creative & Senior Art Director of Paradigm Associates in San Juan. Michelle has two children at TASIS Dorado. Priscilla Torres arrived at TASIS Dorado in 2012, bringing with her more than a decade of experience in administration, customer service, and sales. She began her career at TASIS Dorado as the Administrative Assistant to the Headmaster and Senior Principal. With her deep understanding of our students, parents, community, and school, Priscilla became our Director of Admissions in 2018. 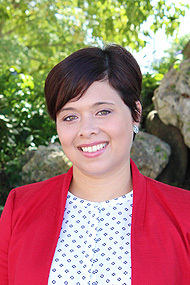 Priscilla has a Bachelor's degree in Industrial Psychology from Sacred Heart University. She has a love of children, an infectious smile, and a great commitment to customer service for our community. Her son graduated from TASIS Dorado in 2018 and her daughter is currently in our Middle School. Luis R. Cruz has more than 25 years of experience in accounting, including more than ten years in Human Resources in various industries as law firms, distributors, and manufacturing companies. He has an active role in the supervision of the plant and facilities of the school. Mr. Cruz helped to organize the TASIS Dorado since the beginning in 2002 and 2016 he became the Business Manager & the Chief Financial Officer. Mr. Cruz holds a BA in Business Administration in Accounting from the Interamerican University of Cupey, Puerto Rico. Community Service: Has served as a Human Resources consultant for the Jane Stern Library. Luis’ has an alumni daughter from TASIS Dorado, who graduated with the class of 2014. 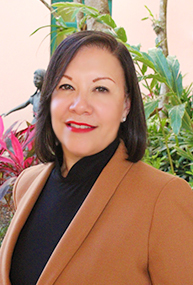 Lourdes Solares has joined us as our first-ever Human Resources Director. Ms. Solares is well-known to many in the TASIS Dorado community as the mother of Andy, president and valedictorian of our first graduating class, who went on to graduate from Dartmouth College. More recently, Lourdes led our PAC Inauguration Committee in 2015-16 and helped bring our entire community together in celebration and pride. Lourdes is beloved by many for her positive energy and "can do" spirit. Her bachelor's degree in Human Resources helped lay the foundation for the accomplished, driven individual she is today. For the past 20 years, she has been working as a volunteer member on behalf of different charitable entities, as the Muscular Dystrophy Association, Burger King Charities, and the American Cancer Society of Puerto Rico. Her experience presiding over several major fundraising committees has instilled in her the value of integrity as well as working for a purpose and a truth. 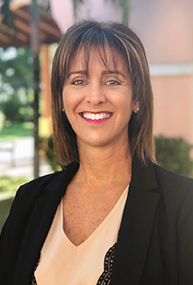 As the Human Resources Director at TASIS Dorado, Lourdes is an advocate for both the school and the people who work in it, performing a constant balancing act to meet both needs successfully.